Well there is our SDCC Bard as said. And I'm happy to see a witch king since I have been waiting for one ever since the LOTR game. Wait. How in the world is there 472 pieces in that Five Armies set? Every minifig gets their own private stash of 65 cheese slopes. I saw it on the back of the box. Turns out that's what they're fighting over. @epyon396 If you look closely part of box did not get in the picture, there must be more to it. It has been fairly well known for a while it was going to be the Twilight version, not the LOTR / day / Eowyn fight version. It looks like lego want the Hobbit / LOTR series done and out the way with minimal expectation now. Yeah, it's a shame there was only one Orthanc scale building. Orthanc really showed what Lego could do with LotR if it wanted to. Was impressive scale, and excellent fun to build. Is it just me, or does Galadriel have some sort of new combined torso/leg piece? I really can't begin to describe how bad these look. Looks like yet more tauriels and legolasses (seriously? remind me again, what was this movie about? ), handful of generic orcs, no civilians/townsfolk/soldiers, 'battle of the five armies' is an embarrassment of a name: should be 'minor scuffle at cheese-slope (involving no soldiers)'. (My opinion) Lego have reached an all time low with their attention to this film series. It makes me seriously wonder who is in charge of the decisions and what the agenda is - there just seems to be total disregard for the entire license, and the sets are simply not up to the standard of any other theme lego makes. It's like they want it to be sh*t, as if to say 'get lost tolkien fans - we just want to play starwars starwars STARWARS'. Very disappointing. I expected a certain level of competence... (Even the total flop PoP sets were still worth buying as a lego set) but these?! Wow. For me, this is a new nadir in lego's licenses. The only set I see myself buying is the Witchking - and yes, like everyone else, it'll be to put him at Weathertop (LotR) and to have Galadriel in (a home-made!) Lothlorien (also LOTR). I don't think she does, it is the regular skirt piece, and some of the printing blends into the surrounding image. Her right hand side shows the regular angles. 'battle of the five armies' is an embarrassment of a name: should be 'minor scuffle at cheese-slope (involving no soldiers)'. That made me laugh out loud. At work. While I'm supposed to be working and not laughing at this stuff. Looks like possibly two of Bard the Bowman too...glad I waited. The Battle of the Five armies set looks like its definitely bigger than the picture shows but probably still not worth it, at least it has a decent amount of figs. I like the price of the small set, 59.99 on the battle of five armies one is kinda steep. Remember the eagles showed up at the battle in the book too. I don't have a problem with them being there. Thorin is there again, this time with a crown. You're correct. I just found the back of box images and it's definitely a printed slope. I agree with what has been said, all of the sets are pretty disappointing. Also like some have already said, the witchking battle is probably good only for the minifigs. Very well put @legomatt‌ - I really can't understand what TLG were doing with this theme. I can only assume that they got a bit screwed over by the decision to split the two films into three, supposedly all the cast though the barrel escape scene was to be the finale for film one so it does look like TLG had two sets from the first wave that they'd have proffered in the second. I get the feeling that after that they just got lazy and started chugging out generic looking tripe of sets so that any other changes wouldn't scupper them. I found it really weird that Smaug wasn't in any second wave sets, the second set being called Desolation of Smaug really would have made that Lonely mountain set make much more sense as a second wave set, reducing the amount of Dol Guldur filler sets. It's such a shame that they had a chance to do some amazing things with this licence and didn't achieve it. Of these sets I will almost certainly get the Witch King battle, I love the Weathertop set so has to be done, I'll wait for a discount on Lonely Mountain, I really want a Smaug and the others are all passable if I don't manage to find a good deal on them, but even with a good deal it'll mainly be purchases for the sake of minifigures, so those deals will have to be really good. I quite like the parts that come with the Witch King set. Greys and browns are always useful for castle building, there are masonary bricks, window parts, bits for a tree. And a complete skeleton, even if he does have mechanical arms instead of the nice smooth ones. ^parts are nice but when I buy a set I feel that the design is part of what I'm paying for! a really nice set design will make me part with my cash much quicker and happier. You had me worried there... but I am pretty sure it's not after having a second and third look. The torso does not look the same at least, the new one is light in the middle and dark on the sides, the exclusive Elrond does not have that pattern. Right? I hope I'm right. Yes, after digging mine out...it looks completely different. Also, the one in the new set has a crown on as well. I think for the limitations (mainly considering the pricetag) LEGO had to work within with these themes, I think they have done a great job. Really! Majestic landscapes?(well...) Large constructions? (they did two). Armies battle packs? (Limited audience). 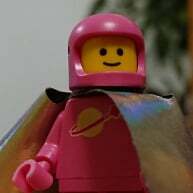 I want more minifigs, but I still got quite alot (enough dwaves at least). Battle of five kings looks disappointing, but lets wait til we see what the set actually contain. So theres just a million sets I think they should have went for, mainly Oliphant and the golden hall. And I wanted a few LOTR waves more, But well... Lord of the Rings is not the same cash-cow as StarWars (regretably). C'est la vie! What is stupid is that we get two Laketown sets and 2-3 Dol Guldur sets. But I guess that it is due to the movies mess up. Which might be why we also get one less LotR wave. Yes, it's the same character (not to be confused with sauron/necromancer). The ringwraith who stabs Frodo at weathertop is the witch king; when frodo puts on the ring, he sees the wraiths in their unconcealed, non-shadow, form. The witch king is one of them. 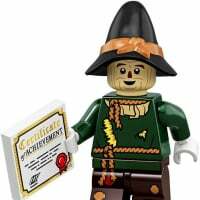 This minifig (assuming jackson hasn't changed it) is the non-shadow form of the most senior of the ringwraiths. Their shadowy-cloaked 'black' form is Jacksons version of a wraith concealed in shadow. This is one of the poorer things about Jackson's LotR trilogy - he doesn't 'do' ethereal at all, but instead everything is taken too literally. The evil entity from the film 'The Frighteners' is a far better indication of how a ringwraith might have been portrayed. They're meant to be almost spectre-like, existing/concealed by the shadow, a nightmare entity under heavy black cloaks to give them shape, but banished by light, hence why the party travel by day, and Aragorn is able to scatter them briefly when he brandishes a fire brand - as the fire momentarily destroys the shadows. Unfortunately, jackson just uses that scene to needlessly have aragorn be a kickass hardcase single-handedly b*tchslapping the lot of them (despite telling us how we should actually be terrified of 'what hunts you') instead of showing us their otherworldliness that cannot be killed. In one stupid swoop, Jackson immediately renders the (what should be terrifying, unstoppable, ethereal) nazgul as an utterly impotent - and worse, physical - foe. The evil entity from the film 'The Frighteners' is a far better indication of how a ringwraith might have been portrayed. I love The Frighteners. Might be my favourite Peter Jackson film actually, I'd love to see him do something like that again. ^ Yep, absolutely great film (though i just wish they could've kept the tension/suspense building up for a bit longer before revealing what the *coughcoughcough*, as all the fear just vanishes with the reveal). It's so crazy that Jackson should direct that, but then get the Nazgul so wrong. One thing to note is that the SDCC version of Bard the Bowman will be included with The Battle of Five Armies (79017). The Lake Town building is ok to expand the town and I am really glad to get Galadriel. Her hair with circlet looks very nice. I don't like her "action face" (which I blame on more PJ made up crapola.) Hopefully her reverse face is a nice serene high elven look for the love of Elbereth. Looks like the crown on the witchking might be a skull cap on top of a regular head so,we can have more ring wraiths for the Weathertop scene. Battle of the Five Armies is looking pretty lame so far. Wonder if it is another of these buy 2 or 3 sets to make it look anywhere near an ultimate battle for the Lonely Mountain and all the treasure. ...for the love of Elbereth. Sounds like a curse she'd mutter under her breath when nobody is looking, such as when her skirts wrap around her legs, pinning her to the spot... "Oh F-or the love of Elbereth..."
Although we are getting Azog again, he has a different print this time. A bit like the two versions of Gollum, the face print is different.